The rules for the DTSD Bournemouth Interclub Campionships can now be found on the 'For Students' documentation page. Dragon Tang Soo Do has sadley lost one of it's founding members. 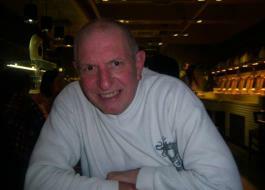 Master Ken Thorne passed away on Saturday 18th April. He brought a wealth of knowledge, experience and made many friends through Tang Soo Do. His family have requested privacy in regards to his person Facebook profile at this time. Details of the funeral will follow in due course. 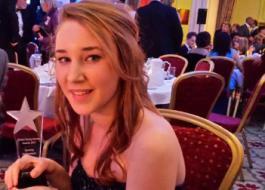 Ashleigh Hughes a member of Master Whites club won a Bristol Young Hero's award in the Sporting Achievement category on the 28th March 2014. This first time gala dinner event, which took place at Bristol's Grand Thistle Hotel, with the aim of the awards is to encourage young people to be the best that they can be by aknowledging their achievements and overcoming difficult circumstances, or making a difference in the lives of others. The vast number of entries were nominated by the general public, with three nominees selected for each of the nine catagories, and the winners being announced on the night. Academic Achievement - presented by Lord Mayor Cllr. Faruk Choudhury, member of the Community Cohesion and Safety Scrutiny Commission. Overcoming Illness or Disability - presented by Alex Beresford, TV presenter and Diversity School Tour Project. Community Action - presented by Sue Mountstevens, Police and Crime Commissioner for Avon & Somerset. Sporting Achievement - presented by Amy Williams MBE, 2010 Winter Olympic Gold Medalist. Contribution to the Arts - presented by DJ Krust, Musician. Courage and Bravery - presented by Marc Anderson, Assistant Chief Fire Officer. Inspirational Volunteer - presented by Mark Oliver, Director of Business Services for Wales and West Utilities. Young Carer - presented by Brenda Massey, Cabinet Member for Children, Young People, and Education. Overall Young Hero - presented by John Pritchard, Vice President and Managing Director Metallics, GKN Aerospace. The extract below was written by Ashleigh's mother Jenny, and her PE Teacher Martin Randall, Bradley Stoke Comminity School, and sent to the judging committee for consideration. Ashleigh in my humble opinion is a true hero! she gets on with life in her own unique way, dealing with life’s ups and downs with maturity and understanding beyond her years. Her empathy towards others often outweighs her own problems and she is a loyal friend to those who are lucky enough to be under her wing! She has dealt with a lot of challenges at home over the years, and is currently facing some personal demons, but she is accepting of the things she cannot change and carries on without self pity or resentment. One of the biggest challenges had been her younger brother Dylan’s condition. He was born with multiple heart and lung abnormalities and has spent his life in and out of hospital. His first year was spent in the childrens hospital intensive care unit. Ashleigh and her older brother Connor spent every weekend, half term, and school holiday there, always happy to see him, never once complaining about the early starts and late nights, the missed time with their friends, birthday parties they couldn’t attend, and having reduced time with extended family. They were naturally aware of their environment and took on board the intensity of the unit and the feelings of the other children and adults they shared the space with, they astounded me every day with their understanding, and made me immensely proud. Dylan came home when he was 15 months old and was ventilated 24hrs a day. Ashleigh coped with the disruption to her routine and environment yet again, and welcomed carers and medical professionals into her home without batting an eyelid. Ashleigh is fiercely protective of Dylan, and is a wonderful sister to him. She is always patient with his demands and is a great help to me with his cares. She is fully understanding of the fact that Dylan's condition will take precedence and has never been resentful of cancelled holidays, days out, and other planned events because Dylan had become unwell suddenly, ultimately Dylan comes first in her eyes. Ashleigh has always struggled with her inner confidence and self esteem. To help with this I encouraged her to go along with her brother to his karate class every week, she managed to avoid it for 2 years before I dragged her along in true pushy mum style!! She cried through her first lesson, and hated every grading and competition initially but has overcome her fears and gone from strength to strength. Ashleigh has represented Dragon Tang Soo Do Interclub and Open competitions since 2008, winning many individual first, second and third place trophies, for forms, weapons and sparring. she has been in the winning team for group forms, winning the team form grand champion award twice, and has been in the winning team sparring group. In 2011 Ashleigh won Junior Female Grand Champion. She has competed in several competitions around the country with other associations, winning a Gold and Silver medal for forms and sparring in the Tang Soo Do World Championships in 2012, she won two Bronze medals for weapons and forms in the 2013 International Championships in Cardiff, and she came home with a 1st place trophy for weapons in March at the Euopean Tang Soo Do Alliance in Bedford. Ashleigh is also a member of the Dragon Tang Soo Do Demo team. She has performed at many functions and events and has gained so much confidence. She is looking forward to next seasons demonstrations. Ashleigh's resilience is something that inspires me, she really does take things in her stride. Regarding her martial arts, she initially cried and begged many a time to be allowed to leave, I was convinced it was just nerves so I agreed to let her leave once she had graded or competed, she was always proud of herself once it was over and didn't ask until the next event! she did call my bluff and ask why I didn't join if it wasn't so terrifying! ( which I did and am grateful to her for!) She was quite often put in the boys category in competitions, a mix up over her name, but she never complained, she went ahead anyway and shined in typical Ashleigh style! This type of inner strength was apparent even when she was small, during her first sports day in junior school Ashleigh had cried her way through most of the events, only to completely lose confidence in the last race, the sprint. She stopped mid way and was frozen to the spot. I went over to give her a hug and to tell her how proud i was of her, even if she didn't finish. Ashleigh agreed to finish the race so I ran back to my spot on the side lines. When I turned around I expected to see her coming across the line, but instead Ashleigh had gone back to the start, she then proceeded to finish the race by herself! To say I was proud would be a huge understatement, and I did think to myself, that my little Ashleigh will be one of those people who will do the right thing, even if they don't know its the right thing at the time! I am thankful for Ashleigh's spirit, even if it does test me at times! I love her kindness and sense of humour, she is a wonderful person, she is my daughter, my inspiration, and my friend, she is the person I wish I had been at her age, and I look forward to seeing what the future has in store for my little Rosie Jim. Ashleigh's teacher Martin Randall writes, Ashleigh is a member of my GCSE PE class and is also in my tutor group; as a result I have got to know her and her family well over the past few years. Ashleigh has a level of drive and commitment that I have never seen matched in my years as a PE teacher. Ashleigh is also very humble in terms of her achievements, which is a nod to the traditional values of respect, discipline, self control and self improvement that underpin Tang Soo Do. Having worked closely with Ashleigh, I am fully able to support the fact that Dylan always comes first in Asheligh's world. She talks of Dylan and the rest of her family with great pride, and works extremely hard to balance the commitments of family life, school, and training. Ashleigh manages all of this with a smile on her face and a wicked sense of humour. She keeps me entertained every day in school and is a pleasure to work with. In my opinion, she is a hero in the truest sense of the word. Ashleigh topped off the weekend by winning Junior Female Grand Champion the day after the awards at the Dragon Tang Soo Do Interclub Championships. I'm sure i speak on behalf of everyone that we are all immensely proud of her achievements and hope that this inspires current and future members of Dragon Tang Soo Do. What a great start; a brand new venue full of facilities which made a nice change, congratulations to the decision maker of that one. As always lots of very nervous looking competitors amongst a huge number of black belts, almost as many judges as competitors this time which equals very little stoppage time as the day progressed. A smaller number of people entering this year meant that the day passed very quickly, but I felt that the lack of people was very obvious in the category sizes and scope; and I think some would have felt robbed as a result. However, I witnessed many surprising results where the lower grades prevailed and, as always, it was a privilege to be a judge for the day. I would like to extend my thanks to the judges on my ring without whom my job would not have been possible and I am sure that the other centre referees would do the same if writing this message. As always the Championship committee had done such a great job and proved once again that they operate a well-oiled machine. All in all a successful day, measurement of which is by the lack of complaints, injuries and volume of smiles.